I have an interesting one for you. I recently moved into a classic Victorian house with 4 other roommates in SF. 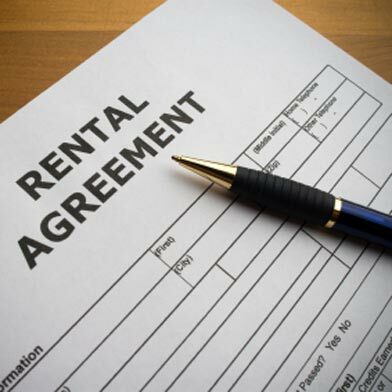 We all have separate rental leases with the landlord, which I considered to be a plus until recently. After a month of living there, I realized the landlord shows up about once or twice a week, without any real notice in the middle of day to do “upkeep” around the property. None of us feel comfortable with this, and I gently mentioned this to him the last time he did one such drop-by. He responded that since we rent each our rooms separately from him (ie: my actual room is unit #3), he does not need to give the necessary 24-hour advance notice. The kitchen, hallway and living room fall within a public domain that he can access without any prior heads-up. Is this a loophole that he’s found? Or is does the 24 hour notice clause still apply to this unique situation? Believe it or not, this is a relatively common issue. I just don’t get it. Doesn’t the landlord have anything better to do? Why isn’t he simply satisfied with collecting your rent? Why does he need to putter around your place instead of, say, going to a Giants game or taking a vacation? There I go again, thinking like a tenant. Landlords don’t think like us. Some landlords become obsessed with their properties, and the inherent control and power bestowed upon them by their position. When the greed gets psychotic, the psychotics torment their tenants. Your landlord is running a boarding house, a small residential hotel. He admitted as much when he described the nature of your tenancy. He thinks he can, as the proprietor, the jolly innkeeper, come and go as he pleases. But, as is usual with these penurious pinheads, he’s wrong. The landlord does not live in the premises. He does not have a license to run a hotel. He isn’t paying the hotel tax. As a group of roommates, because that’s what you are, you have the right to exclusive possession of the house. The landlord must provide the requisite 24-hour, written notice to enter pursuant to California Civil Code §1954. Read the law. As you can see there are only specific instances when the landlord can enter. All of them, except for emergencies, require a 24-hour notice. In my article, I recommend calling the police when the landlord persists with illegal entries. In your case, the roommates should band together and write the landlord a letter emphatically asserting your rights to proper notice. Tell the landlord you will file a petition at the Rent Board alleging a substantial decrease in services. The right to “quiet enjoyment” is a housing service. File the petition if he refuses to comply. Unfortunately, San Francisco Housing Code §401 defines lodging house “as any building or portion thereof, containing not more than five guest rooms where rent is paid in money, goods, labor or otherwise.” The San Francisco Building Inspection Department will not violate a boarding house that comprises 5 rooms or less. I think you should call a housing inspector to file a complaint anyway. Because the landlord’s puttering is more about snooping than fixing anything, I’m guessing that you may have some violations of the warranty of habitability. Mention the boarding house issue to the housing inspector, just to see if he or she will do anything about it. Then point out all of the areas where the landlord used bubble gum and duct tape to fix leaky pipes, holes in the walls, etc. You’re right, this is interesting. I’m assuming that you live in a house, a single family dwelling. If the landlord rented the house as a whole, in this market, he could likely rent it for about the same amount as get gets from all of the tenants. He could also increase the rent more or less as he pleases, whereas renting individual rooms (rent controlled) doesn’t allow him that luxury. Thus my conclusion that your landlord’s hobby is tormenting his tenants. Even if you prevail at the Rent Board or force the landlord to repair defective conditions in the building, you should move. Get out! This guy ain’t gonna change.